Passive optical networks do not use electrically powered components to split the signal. Instead, the signal is distributed using beam splitters. Each splitter typically splits the signal from a single fiber into 16, 32, or up to 256 fibers, depending on the manufacturer, and several splitters can be aggregated in a single cabinet. A beam splitter cannot provide any switching or buffering capabilities and doesn’t use any power supply; the resulting connection is called a point-to-multipoint link. For such a connection, the optical network terminals on the customer’s end must perform some special functions which would not otherwise be required. For example, due to the absence of switching, each signal leaving the central office must be broadcast to all users served by that splitter (including to those for whom the signal is not intended). It is therefore up to the optical network terminal to filter out any signals intended for other customers. In addition, since splitters have no buffering, each individual optical network terminal must be coordinated in a multiplexing scheme to prevent signals sent by customers from colliding with each other. Two types of multiplexing are possible for achieving this: wavelength-division multiplexing and time-division multiplexing. With wavelength-division multiplexing, each customer transmits their signal using a unique wavelength. With time-division multiplexing (TDM), the customers “take turns” transmitting information. TDM equipment has been on the market longest. 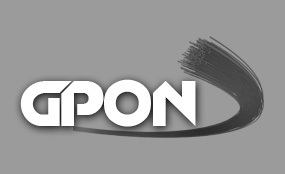 Because there is no single definition of “WDM-PON” equipment, various vendors claim to have released the ‘first’ WDM-PON equipment, but there is no consensus on which product was the ‘first’ WDM-PON product to market. Passive optical networks have both advantages and disadvantages over active networks. They avoid the complexities involved in keeping electronic equipment operating outdoors. They also allow for analog broadcasts, which can simplify the delivery of analog television. However, because each signal must be pushed out to everyone served by the splitter (rather than to just a single switching device), the central office must be equipped with a particularly powerful piece of transmitting equipment called an optical line terminal (OLT). In addition, because each customer’s optical network terminal must transmit all the way to the central office (rather than to just the nearest switching device), reach extenders would be needed to achieve the distance from central office that is possible with outside plant based active optical networks.